Baked Chicken Fajitas are a quick and easy 30-minute meal! 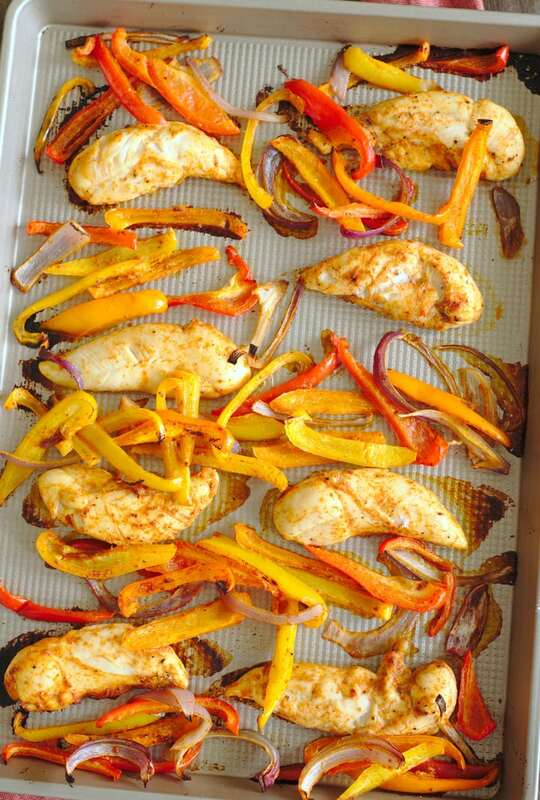 Chicken, bell peppers, onions, and a delicious blend of Mexican spices are baked on a sheet pan for a dinner that’s sure to be a new family favorite! Chicken fajitas have been a dinner-time staple at my house for years. Fajitas caught on because of how easy they were to make and of course, they were so delicious! 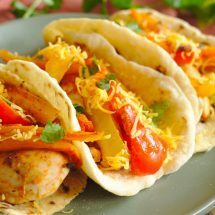 I love the flavorful spice blend used in fajitas, they taste so amazing. This is really the perfect meal to make for dinner on busy weeknights and this recipe feeds a crowd! 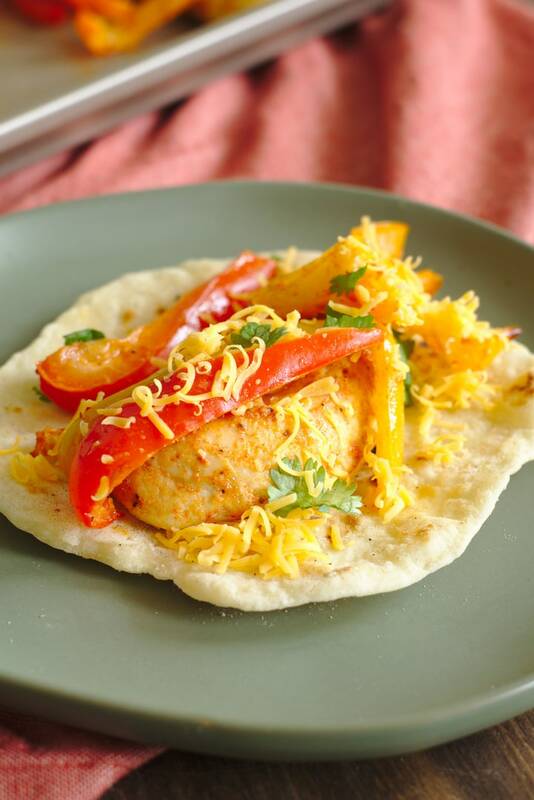 I highly suggest serving these baked chicken fajitas with shredded cheddar cheese, flour tortillas, fresh lime juice, and a bit of extra cilantro. I decided to try tackling making homemade flour tortillas to go with these chicken fajitas for the first time and they turned out so awesome. 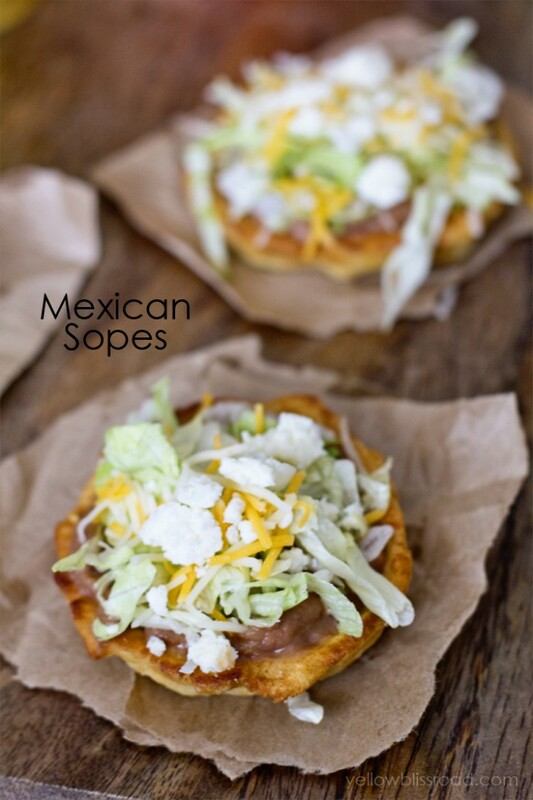 For years, I had been wanting to try making them but had been intimated so I was amazed with how easy they really were to make and how delicious they tasted! It was also a great use of my cast iron skillet, I used it to cook both sides of the tortillas. Cast iron skillets are one of my favorite kitchen items, they are just so versatile! 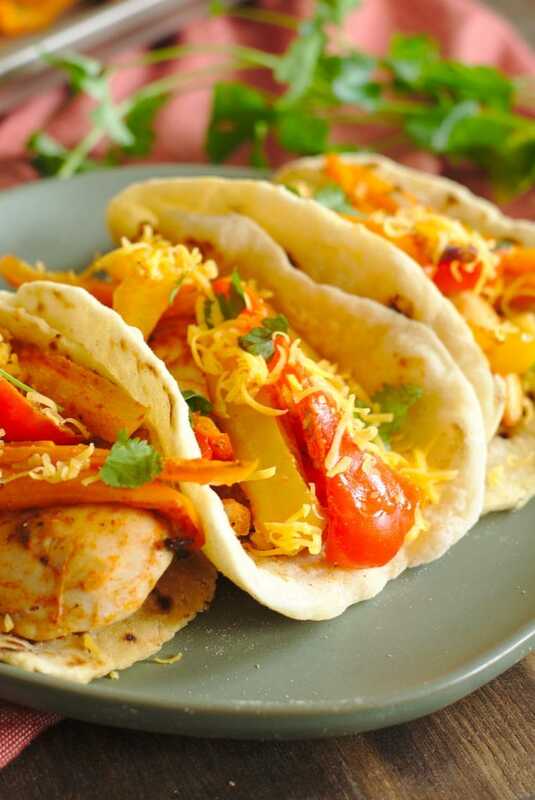 I think I could make these chicken fajitas for dinner every night, I just love them so much! We barely had any leftovers when I made them this time, it truly is a family favorite recipe that you are sure to love! Baked Chicken Fajitas are a quick and easy 30-minute meal! 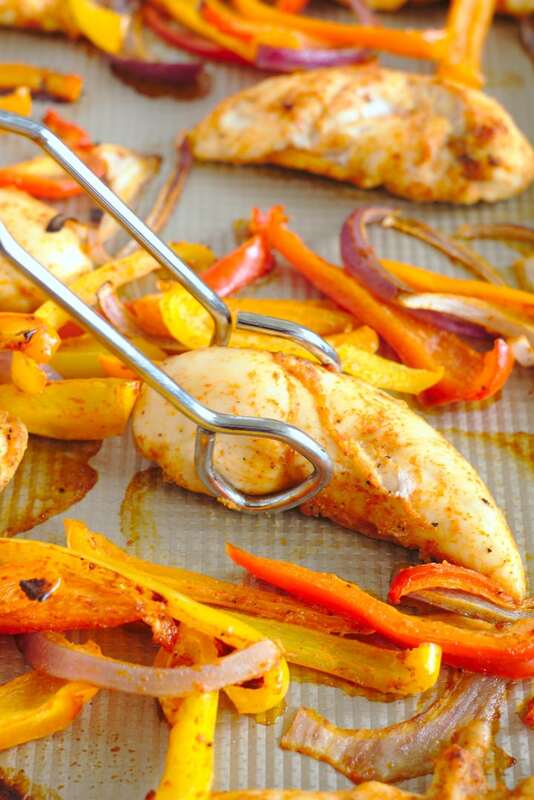 Chicken, bell peppers, onions, and a delicious blend of Mexican spices are baked on a sheet pan for a dinner that's sure to be a new family favorite! Slice bell peppers and onions 1/4" thick. Transfer to a large mixing bowl and add in chicken. Add in remaining items and mix together well. The chicken and veggies should be well coated in spices. Transfer chicken and veggies to a sheet pan and spread out evenly. Place in oven and bake for 20-22 minutes or until chicken has cooked through. Remove from oven and sprinkle with cilantro for garnish. 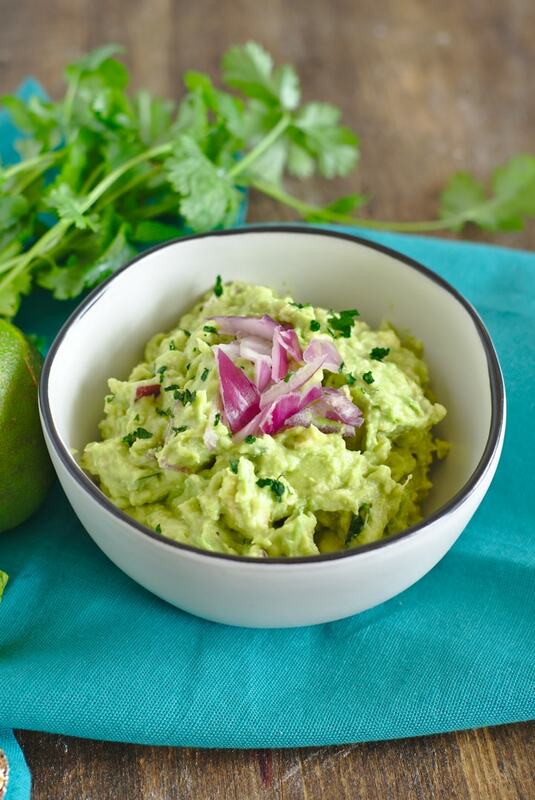 Make sure to check out these amazing Mexican-inspired recipes! Looks delicious! 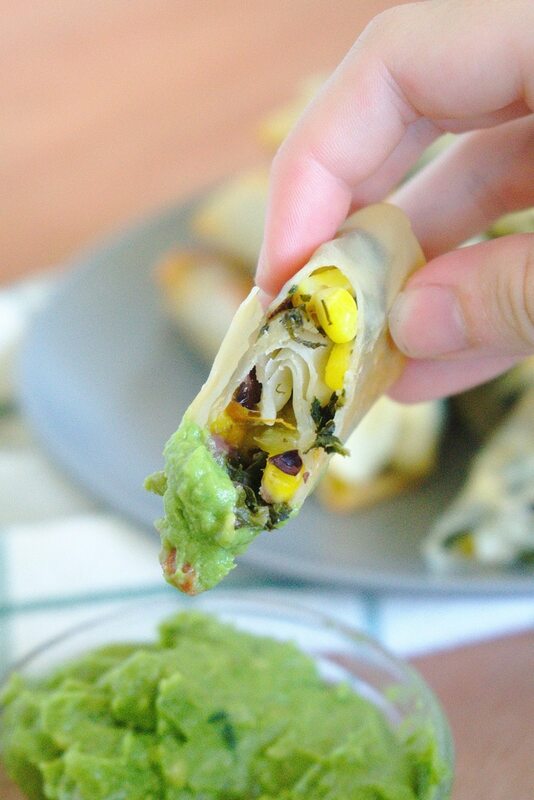 Such a wonderful idea for dinner!